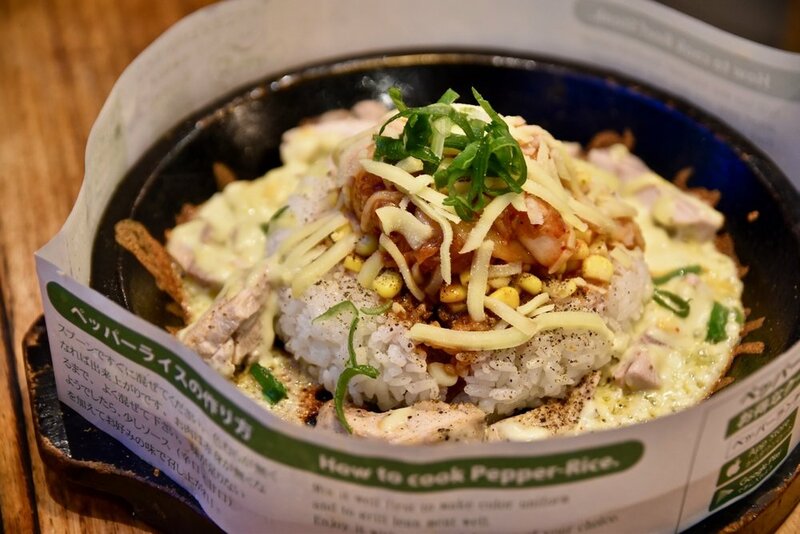 A popular chain restaurant, Pepper Lunch provides a fast food style service with affordable steak, pasta and signature pepper rice dishes. The DIY teppan restaurant allows customers to enjoy their chosen meal on a sizzling 260 degree heated iron plate. On this occasion, we tried 7 amazing dishes. We were particularly impressed by the newest dishes on the menu - the Kimchi beef pasta and the Flaming torigatsu. 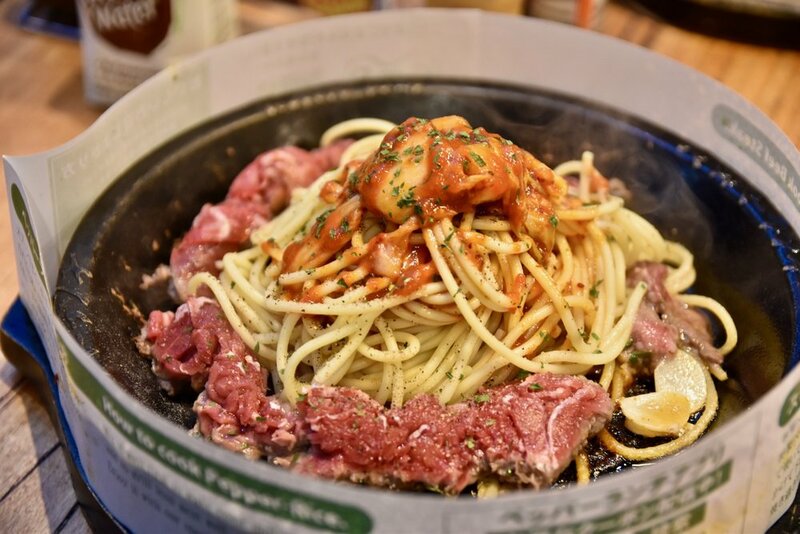 Both dishes were served on a sizzling hot plate and full of flavour. We loved the ability to tailor our meals to our liking. There are also a variety of side dishes to complement the main meal. The kimchi and sweet potato wedges are a particular favourite of ours. 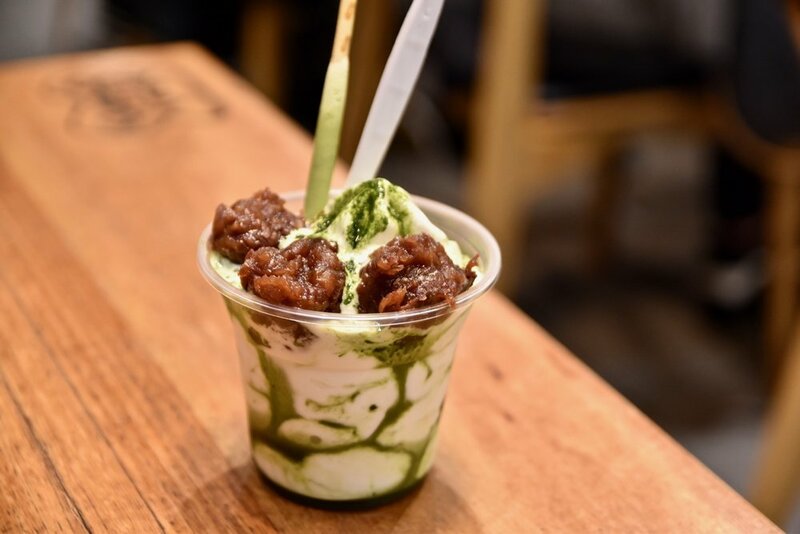 For desserts, do not go past the delicious waffles and green tea and red bean soft serve. Simply delicious! 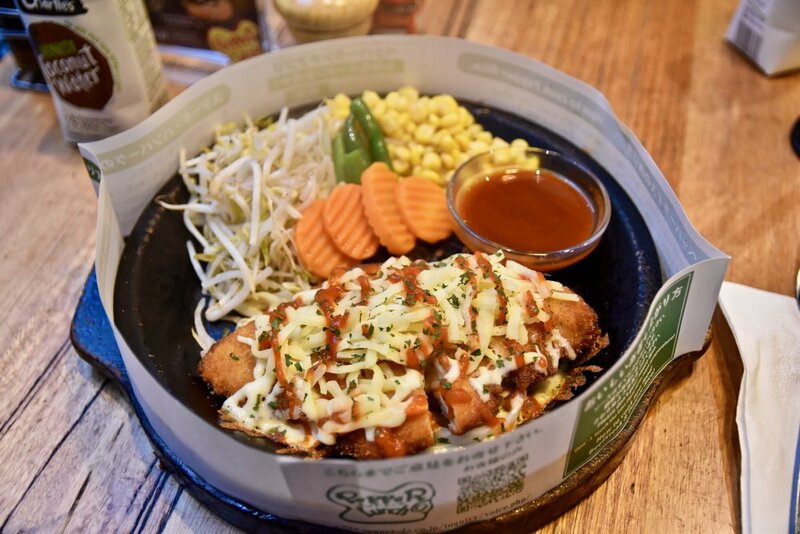 With over 300 stores worldwide, Pepper Lunch offers a great variety of food for different taste buds at affordable prices.